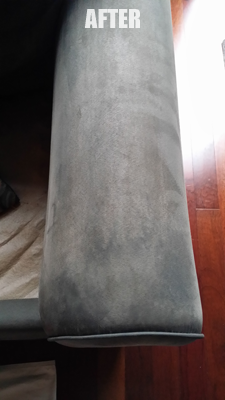 Here are the before and after photos of a recent upholstery cleaning in Tampa FL. All the water marks and soil were removed while the microfiber pile was lifted and refreshed. You should have your upholstery cleaned professionally at least once a year. Call Chem-Dry of Tampa FL for a free estimate at (813)402-8403.